Second week of the project and we have been working on a little bit of concepts plus getting into finishing the blockmesh of the level. I had to redo a lot of the BSP stuff I did earlier on because when I tilted the level the local axis of the BSP meshes decided to reset which made things a little bit more tricky, no worries though as I just followed the same layout and used static meshes instead, allowing us to quickly construct the layout of the level as well as switch out the blockmesh for the final models really easily. 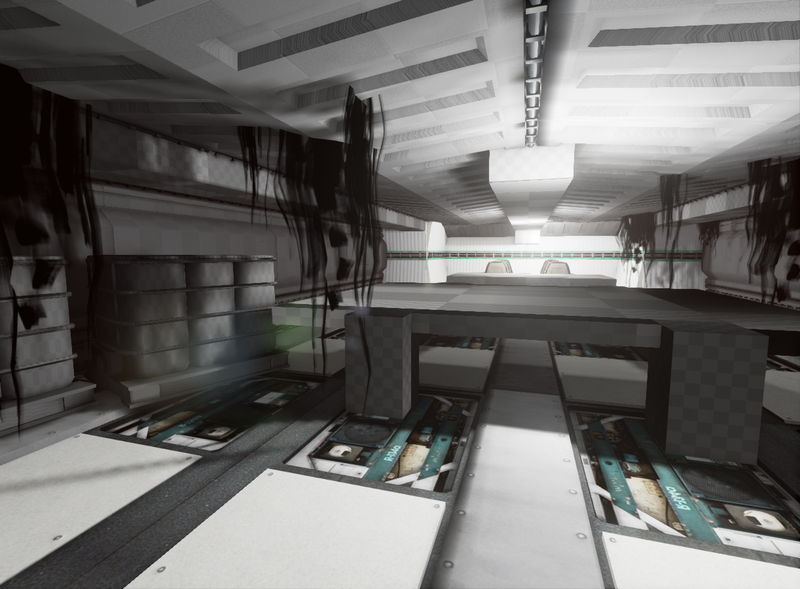 Our goal is to push the modularity of the level as much as we can by reusing as many assets as we can. Things like the desks and computers are all made using a few basic parts which could be used to kitbash other assets and keep everything uniform. The hard part is making sure everything fits correctly but it looks really great when an asset just slots perfectly into place, making the small OCD part of my brain really happy. 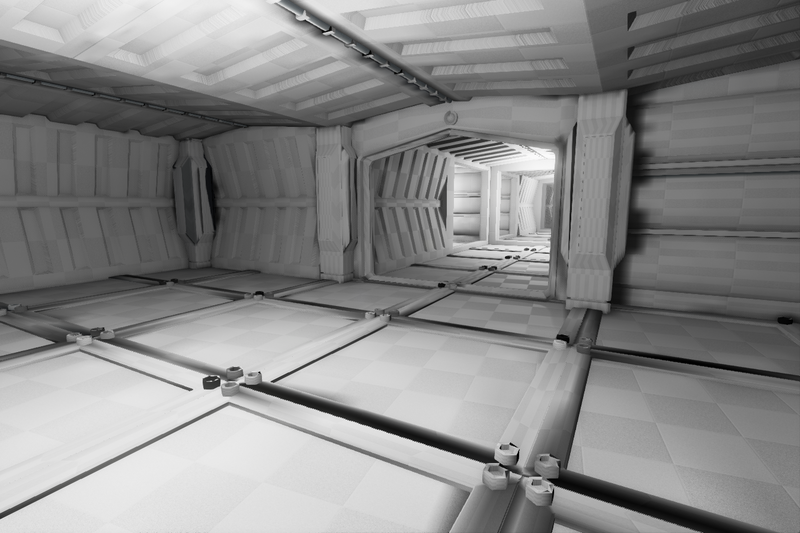 Blockmesh of habitation area using some test walls created by amber. We were trying out different ideas to what would work for paneling in certain parts of the interior, this was being done alongside the concepting so we could feedback to each what works and what doesn't. Blockmesh of the bridge, still some elements here which need to be switched to a static mesh. Also some basic 2D vines to show some overgrowth. 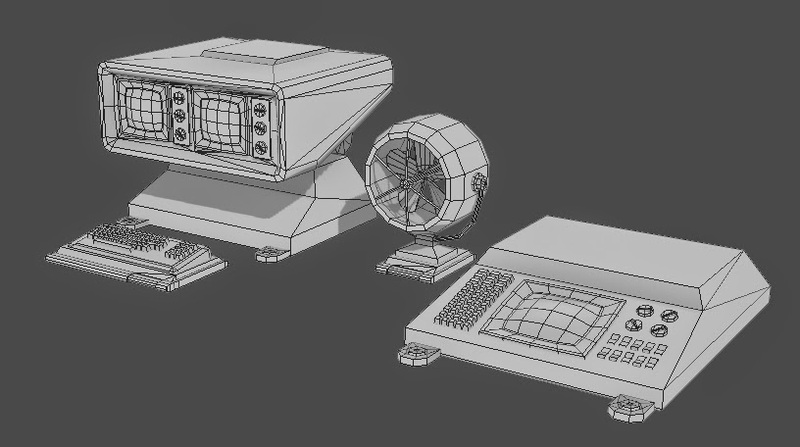 Also I spent a bit of the week modelling some computer assets to put in the level from drawings I did, we used a style board so we could design assets without losing focus. 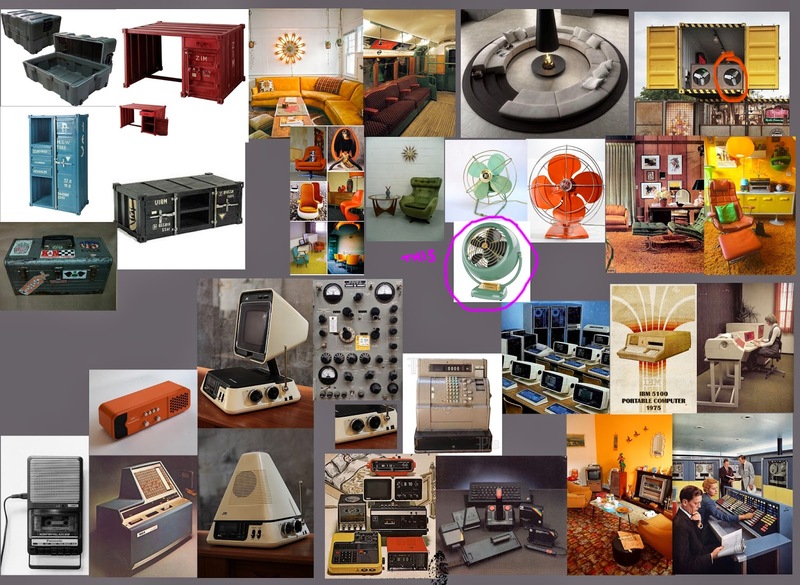 Style board used to create assets, bright, 70s retro styling with bulky elements associated to cargo and shipping containers. Computer assets I made, these are also designed with modularity in mind as the buttons and screens could be used in different combinations for kitbashing more computer designs. Next time: All the Modularity!